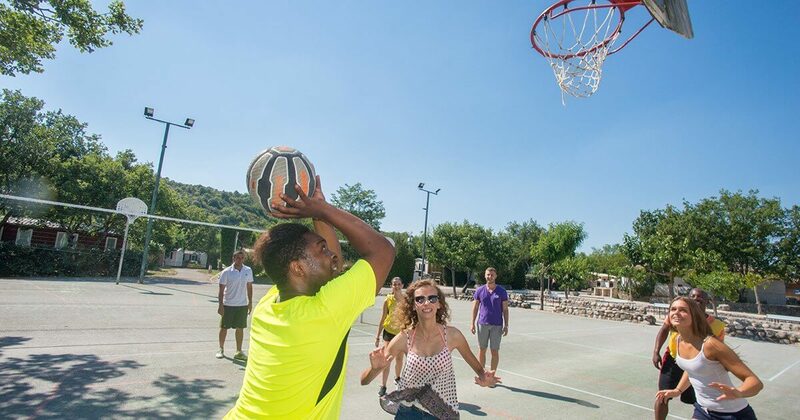 At Camping Le Ranc Davaine, we guarantee you a maximum of fun thanks to our wide range of leisure facilities. Indeed, everything has been set up in order to allow all-one-everyone to enjoy his holidays to the fullest through different sports activities. 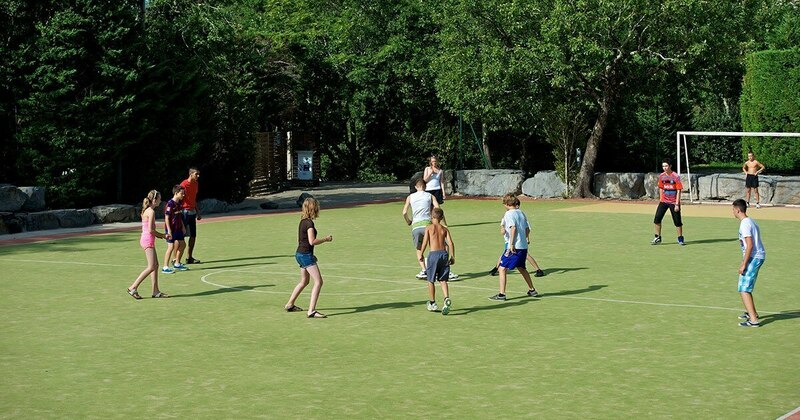 In this way, we have several sports fields that remain accessible at any time to all holiday-makers at the campsite. This is an opportunity for your to strengthen the ties with your loved ones and to make new encounters. You can choose between football, basketball or volleyball if you particularly like group sports. You could also indulge your passion for tennis on the course that is dedicated to this discipline or even play petanque, table tennis... 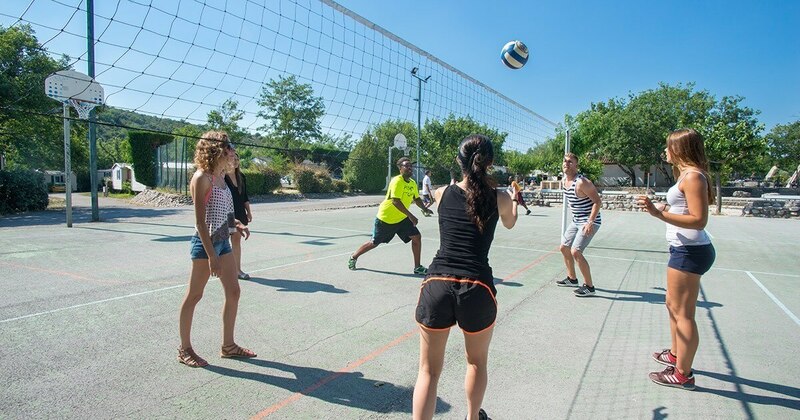 Moreover, various tournaments are often organized within the campsite for your greatest happiness. Other programs are also planned to allow you to relax and take care of your well-being. For this, a team of professionals accompanies you through various sports activities such as aqua aerobics or even fitness or dance. 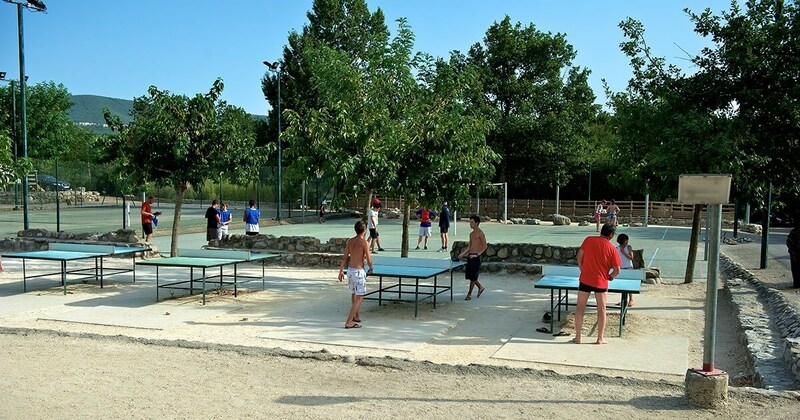 But if you want to enjoy the beautiful weather and nature while strolling outside the campsite, you can taste the most popular leisure in the Ardèche. We benefit from a partnership with other outside institutions that will allow you to rent bicycles for example in the most beautiful places in this area. Thanks to our partners, you can also take part in other fun activities, including horseback riding and caving. It should also be noted that our campsite is ideally located close to the river Chassezac to allow you to enjoy the swimming in fresh water and fishing. If you like thrills, it's also the perfect opportunity to experience canoeing. In short, at Camping Le Ranc Danyasi, the athletes will be totally spoiled. Everything you need to create unforgettable moments! is coming at your campsite! For stays in accommodations or on pitches for 14 nights from 12/04/19 to 26/06/19 and from 31/08/19 to 23/09/19. Whenever you want! Freely choose your day of arrival and departure for any stay of minimum 7 nights. 20% off! For stays in accommodations or on pitches for 14 nights from 12/04/2019 to 26/06/2019, from 31/08/2019 to 23/09/2019. For payment by installments without any extra fees, don’t hesitate to contact our hostesses for more information. The perfect way to start your holiday serenely! for all stays of at least 7 nights. Upon subscription of the rental agreement. Enjoy the benefits of the card on 30 Sunêlia campsites.